Even though the Samsung Galaxy S6 has been making rounds on the internet these days, that is not the only Samsung device the Korean manufacturer has in store for us next year. Following its new strategy of diversification, looks like Samsung is about to add some great new specifications and features to the Galaxy A5’s successor. New word has popped up today about the Samsung Galaxy A7 and the device looks to have a solid packing under the hood. 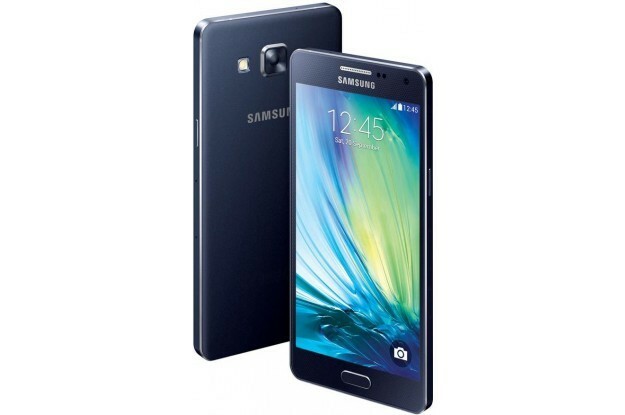 The Samsung Galaxy A7 Expected To Come With Exynos 5433 On Board. If folks over at SamMobile have got it right, which they generally do, the the Samsung Galaxy A7 will be a beast of a phone for a mid-range device. After Snapdragon 615 rumors, now the Galaxy A7 is being said to come with Samsung’s Octa Core Exynos 5433 SoC on board. The Exynos 5433 as we all know comes with four 1.3 GHz Cortex A53 and four 1.8 GHz Cortex A57 cores on board. Display size for the Samsung Galaxy A7 is going to be 5.5 inches with a resolution of 1080p. This will be supplemented by 2 GB of RAM and a 13 MP rear camera. Front camera on the device is being said to have a resolution of 5 MP. All of this will be powered by a modest 2500 mAh battery. Internal storage for the device is expected to be 16 GB. These specifications for the Samsung Galaxy A7 take the device out of mid-range category and end up placing it more in the flagship range. Seems counter-intuitive really. Who knows what folks over at Samsung have in mind for us next year. With the Galaxy S6 coming with a dual curved note variant and the Galaxy A7 sporting an Exynos 5433, next year looks to be an interesting one for Samsung and all its fans worldwide and here in the US.